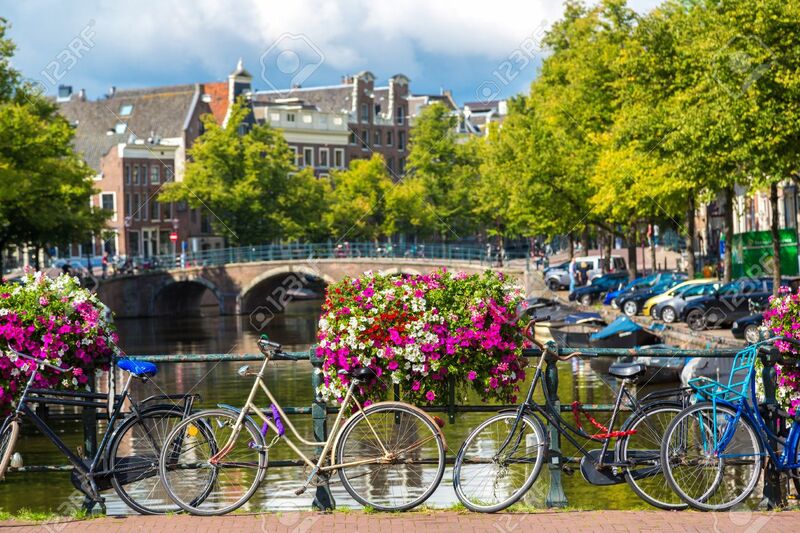 Bicycles On A Bridge Over The Canals Of Amsterdam. Amsterdam Is The Capital And Most Populous City Of The Netherlands Royalty Free Fotografie A Reklamní Fotografie. Image 38333804.